The Google Play Store and the App Store have a range of apps for testing out tattoos. With these apps, you can create the effect of a design on the skin before permanent tattooing. That way, you can clear your doubts as to the position or size of a future tattoo. Many of these programs bring you the best tattoo designs, as well as inspiration to find themes that match your style. 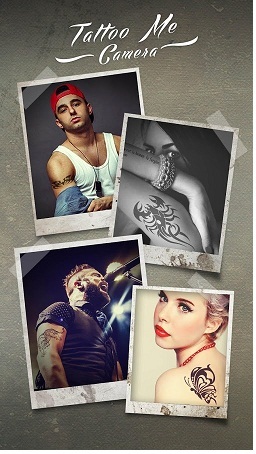 Below we have listed the best five apps that you can test out tattoo design on photos. There are free and paid apps that are available for download on Android and iPhone ( iOS ). 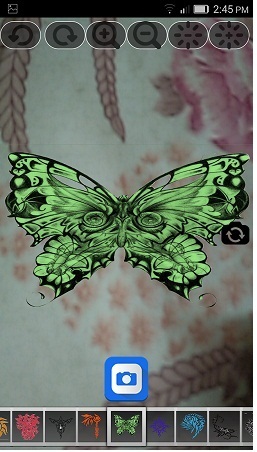 This app is available for download on Android, the app allows the user to choose from a variety of designs - or create their own, but only with text - and apply them to photos in the cell gallery, or use the camera to produce the images. The app has a gallery of daily tattoos, which are free, and users can purchase, through microtransactions, more designs to apply to photos. Editing tools are also free, allowing part of the drawings to be deleted, as well as height, size, color and saturation controls, in order to find the best possible result for each image. Considered one of the top tattoo simulators app on the market, Inkhunter is totally free and exclusive iOS software, running on both the iPhone and iPad. Its main positive point is the augmented reality feature: the application not only applies the drawing, but also performs the necessary adjustments according to the curves, in 3D mode. With a gallery of drawings created by renowned tattoo artists, the inkHunter also allows the user to upload their own images. The software is easy to use and very intuitive, bringing complete controls to settings and sharing functions. It is a good alternative for anyone who wants to be sure about a tattoo before they go for the needle. Also exclusive for iPhones and iPads and the app provides few free drawings, which can be quickly applied to gallery photos or produced on time with the camera of the device. Although all your editing tools are free as well as your font packages, most tattoos are paid. They are available in packs of themed designs and updated periodically, with the collection growing more and more. 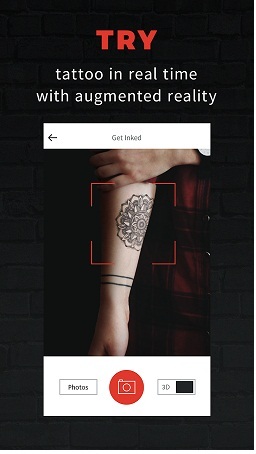 Exclusive to the Android operating system, Tattoo Me Camera is one of the few apps in the segment to bring an effectively free experience. This means that the use of its tools and features does not depend on microtransactions for the purchase of packages or ads display during use, which may be good news for those who are uncomfortable with advertising. With editing tools for color, saturation and effects adjustments, the application allows you to use both your own tattoo series and custom designs. Everything works from the gallery of the cell phone, from which also the images to be edited. After work, edits are saved in a folder of their own, from where they can be shared on social networks. 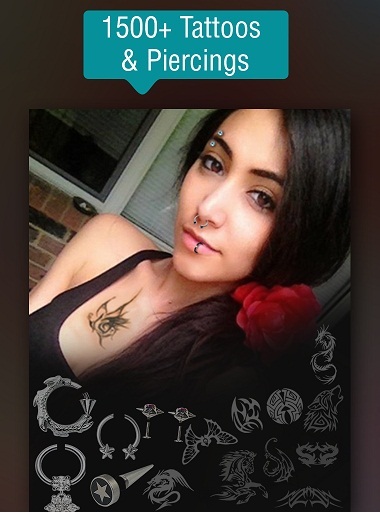 Despite the game-like name, Tattoo N 'Piercing Saga is yet another application for the edition of tattoos and virtual piercings, and also the only one of this list to work on both the iPhone (iOS) and Android. The highlight here, in addition to cross-platform portability, is the ability to fetch both images and tattoo designs from Google and social networks directly from the software. However, the downside is that the app is full of ads in its free version, which can disrupt usability, and even in it, there are paid packages of tattoos. They can be purchased separately or all at once with the Pro version. In any of the editions, the editing, uploading and sharing tools on social networks are free.